Our national meets are held in a different location every year but are typically held in the summer. Since 1962, the club has visited 23 states and Canada. Highlights of a national meet include the swap meet, technical seminar, vintage car tour, car judging and the annual awards banquet. Members are encouraged to bring their cars, regardless of condition. 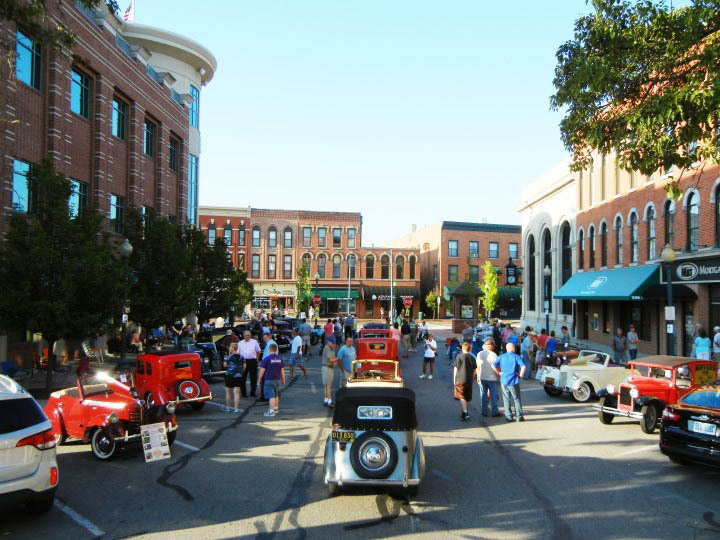 Come for the cars and stay for the fun. Tuesday: Driving tour & car judging. Wednesday: Swap meet & Museum tour. Thursday: Technical seminar & Awards Banquet. Must be club member to participate. 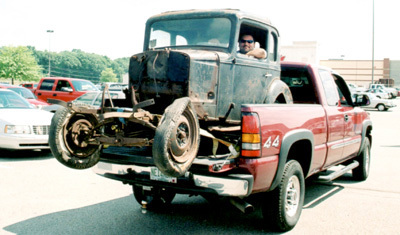 This lucky member found a car at the swap meet. Technical seminar for DIY mechanics. Our vintage car tours are always colorful. Car show at the 2016 Monroe, Michigan meet. 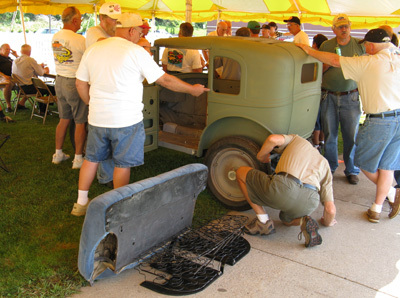 American Austins have captured the hearts of enthusiasts ever since they were first built in 1930. Several years later, they evolved into the streamlined American Bantam. 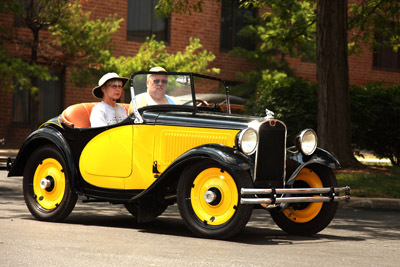 Due to their cuteness and short 75-inch wheelbase, the cars attracted attention wherever they went. When World War II came along, the American Bantam Car Company delivered the world's first jeep to the U.S. Army. 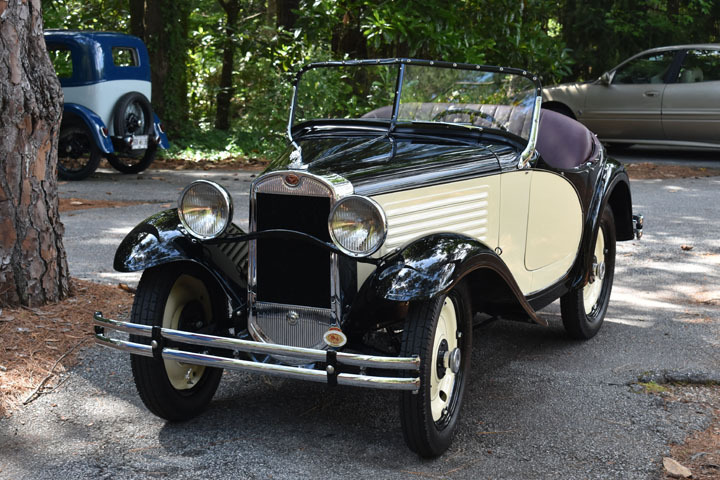 Back at home, gas rationing made the American Austin and Bantam cars a popular choice with their 50-mile-per-hour fuel economy. When they could no longer move, the little cars were tucked away in barns and garages to be found years later by enthusiasts like you. Now it's time for you to make your own memory. The American Austin Bantam Club is here to help.